Every so often I will get a question that goes something like this: “Will you be making another print version of your [insert book name here] book?” Or, “Will the [insert eBook name here] eBook be available as a print book?” It’s always a little bit sad when I have to say that “… no, I won’t be revising that book” or “… unfortunately this book is only in eBook/PDF format”. I want to make everyone happy, and don’t enjoy telling my customers that I don’t have what they want. In 2010 I had my very first book published through Peachpit. Since then I have had four other print books (and one eBook) published with them. I have also had two eBooks published through Craft&Vision and I self-published five of my own. If you do the math, it’s pretty obvious that the eBooks I have written heavily outnumber the print books, and that gap will only get larger in time. Now, the irony of the timing in writing this post is that I am half-way into another Peachpit book, Food Photography: From Snapshots to Great Shots (Second Edition). Maybe it’s because I am in the thick of it that I can’t help but think about the differences between the two. The biggest difference is that I have so many other self-published projects I could be working on that will not only take less time to create, but will also likely bring in more income. Working on a print book involves hard deadlines, a team of people, and a whole slew of procedure that has to happen in a certain order. In the time and energy it would take me to write one print book I could publish at least two of my own titles in my own online store. Please don’t misunderstand: this post is not to knock print books in any way. I’m not claiming that “print books are dead”, but rather I am stating what I have experienced as an author (and a self-publisher). I am just as nostalgic about holding a book in my hands as much as the next person, but I also embrace eBooks and other types of digitally-created publications. And the fact is that for me, creating and self-publishing eBooks makes way more sense than doing print books through other publishers. My self-published eBooks are way easier to produce than a print book. Aside from my editor, I am the only person doing all of the work. This means that I do all of my own photography (duh), writing, design, marketing, email campaigns, sales, and customer service. Owning and operating my own business alone means I wear a lot of hats, but I absolutely love it! I wouldn’t consider myself a control freak, I just fully appreciate having total creative control. Now, all of that may sound like a ton of work, but if I put my mind to it (and had no other big projects lined up) I could feasibly produce a self-published eBook in about few months. And, to be honest, I’m starting to clear my schedule more and more for this kind of “free-time” … I have a long list of eBook projects that I cannot wait to get started on! A print book, on the other hand, requires a team of people, and each person has their role. Granted, it is a very efficient system, but having to get small changes approved (or even big changes, like the cover, which I did for my original food photography book), can be quite a hassle. As I mentioned previously, I am very particular about the look and design of my books. Creating my own eBooks means that I retain full control over every aspect of the book. I have even turned down third-party sellers from re-selling my eBooks because they wanted to add an advertisement to it, which I felt would jeopardize the design and overall quality of my products. Sure, I could create print versions and sell them myself. But the only way to do it (that makes sense financially) is to do on-demand printing, which, to be honest, I’m not very keen on considering. I have very high standards for quality, and not being able to see the print book and check it for quality would bother me. Sending out a potentially sub-par book could tarnish my brand, as well as make my customers unhappy, and that is something I absolutely want to avoid. The only way that I could sell my own print books with a clear conscious would be to pay the overhead to have them all printed, and then sell them one-by-one and ship them out myself. Considering that I am the only employee in my small business, the likelihood of that happening is pretty slim. Self-publishing is a great way to build a brand. I have my own online store, sense of design, teaching style, and also my own personality to go along with it. I have grown a large mailing list with devoted and loyal fans, and also have a strong social media presence as well. None of this was handed to me, but was built slowly over time. One thing I have discovered from the people who follow my blog, social media, and my newsletter is that they have a great desire to learn, and photographers who want to grow their skills love eBooks! That’s great for me, because I love to write and teach about photography! But, more importantly, I get to do it under my own umbrella, and ensure that everything I do is a reflection of my brand. This does not only include the eBook itself, but also branches out to my marketing campaigns, as well as customer service relations (I answer all of my own emails, including customer inquiries). What I do is not 100% about making money, but I would be lying if I said that money does not matter. In order to continue creating content, both free content and products for sale in my store, I need to make enough money so that I can create more content. Traditional print-published authors make only a small percentage in royalties, and a book has to sell like wildfire or have dozens of best-sellers to make ends meet. Most authors I know (including myself when I first started writing books) don’t do it full-time; it’s more like side-income to complement their “real” job. Also, a lot of the books that photographers and other tech writers create can become outdated in time, especially if it has to do with camera equipment or specific software. This means that as soon as the equipment or software is outdated, so are the book and the royalties that come with it. I have experienced this with many of my books, but the most impactful one was with a book about onOne Software written just two years ago. 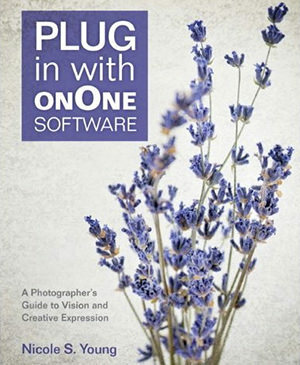 The book needed to be written when the software was released, but onOne (now known as on1) has a track record for updating their software in fairly regular intervals. So, by the time the print book was published and selling, that specific software version (Suite 7) only had nine or so months left, leaving my book with a very short shelf-life. Since then I have opted to create self-published eBooks on on1’s products; eBooks are much faster to write and publish, which makes it less impactful to my long-term sales if they end up having a shorter shelf-life. Self-publishing requires very little overhead. I work from home, and when publishing an eBook I only pay my editor (usually around $500-$1,200 US, depending on the length of the eBook), as well as transaction and hosting fees for my website. Overall the costs are minimal, and the biggest “cost” is just my time. I make 100% profit. When I make a sale from my online store (which is, for the most part, the only place you can find my self-published work), every single sale puts more money into my pocket than if it were sold through Amazon or another publisher. One of the down-sides to writing a book with a traditional publisher is that they own the copyright of the book. Your images remain your own, but the book as a whole is owned by the publisher. This may also include future rewrites of the same topic, or revisions for other versions of the software. I have heard horror stories from authors who have battled with publishers for revision rights, and that is something that I definitely want to avoid. The benefits of publishing your own content is that you own the copyright and can do whatever you please with your creations. This can include licensing them to companies to use alongside a product, allowing third-parties to include your products in a bundle, and so much more. This freedom is one of the main reasons that I enjoy going at it on my own; I definitely consider myself very ambitious, and there’s nothing that makes me more proud when I can create something that people not only purchase directly from me, but that they also learn and enjoy what I have to offer. If you would like take a look at my eBooks, please click here to visit my online store. Also, be sure to join my newsletter to stay updated on my work! To view my print books, please visit my Amazon author page by clicking here. Totally agree with you Nicole. Although the ebook market is growing fast, many people are still love reading a “real book”. 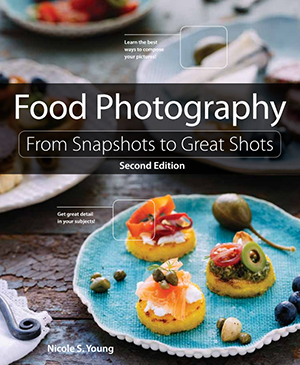 I have read “Food Photography: From Snapshots to Great Shots” and I think it is so much better in digital format than in print form because I can easily read it again and again in learning food photography. In my opinion, if a book is worth reading, most readers won’t bother it is digital or print. Keep up your great work Nicole! I couldn’t agree with you more when you stated that books dealing with software become outdated quickly due to the updates to the software. I do love a hardback book but I get weary of having to replace a book concerning updated software every year to eighteen months. I’ll gladly invest in an E-Book. In addition, I’m becoming more comfortable with reading books on my iPad.